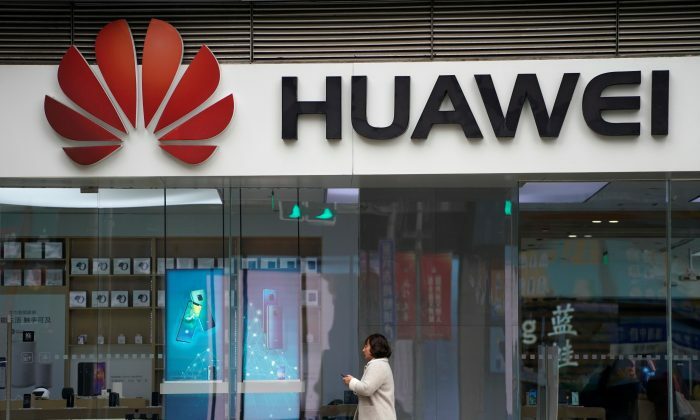 WASHINGTON—Chinese telecoms giant Huawei Technologies Co Ltd’s chief financial officer was arrested as part of a U.S. investigation of an alleged scheme to use the global banking system to evade U.S. sanctions against Iran, according to sources familiar with the probe. The United States has been looking since at least 2016 into whether Huawei Technologies Ltd violated U.S. sanctions against Iran. More recently, the probe has included the company’s use of HSBC Holdings to make illegal transactions involving Iran. HSBC’s U.S.-listed shares initially fell as trading volume rose, dropping as much as 6 percent after Reuters reported the bank’s link to the case, and were subsequently down 4.7 percent. Huawei is already under intense scrutiny from Washington and other western governments over its ties to the Chinese regime, driven by concerns it could be used by Beijing for spying. It has been locked out of U.S. and some other markets for telecom gear.